Pirate Adventure, known as Pirate's Cove in the VIC-20 release, was released in 1978. It was Scott Adams' second adventure. 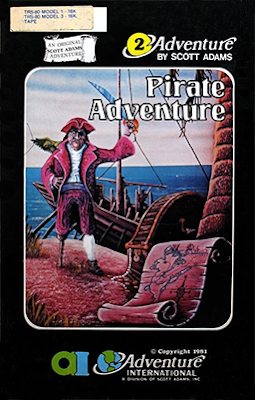 The plot of the game was to search an island to find the pirate's treasure. It was also released with static graphics as SAGA (Scott Adams Graphic Adventure) #2.